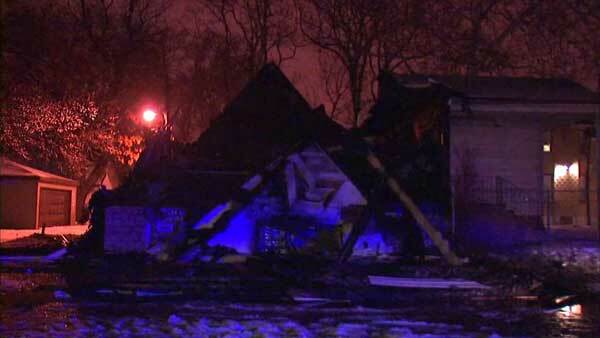 CHICAGO (WLS) -- The roof of a former church collapsed in a fire overnight in Chicago's West Pullman neighborhood. The entire building was destroyed. Agents with the Bureau of Alcohol, Tobacco and Firearms are on the scene near West 120th Street and South Eggleston Avenue. The blaze broke out in the Hyde Park A.M.E. Church around 3 a.m. Monday. Firefighters extinguished the flames by around 3:50 a.m.
Fire officials said no one appeared to be in the building. The cause of the fire is under investigation.